Discussion in 'Model S' started by kdday, May 21, 2017. AP2.0 Cameras: Capabilities and Limitations? Many people have assumed that because the "Autochauffeur" board shows 8 camera connection points on the dual socket board, that this was the board Tesla was shipping in HW2 cars. However, as pointed out in the linked thread above, the "Autocruise" board also supports up to 8 camera (plus radar/lidar) inputs. After tearing down my car today, I can virtually confirm that Tesla is shipping the "Autocruise" version of the board, with 8 camera + radar inputs, with a single CPU and GPU socket. The PCB is a custom Tesla design that looks overly large for the heatsink enclosure. My guess is that this is a Gen 1.0 design that they knew they would revise into a future dual socket version in the future. They've built the AP2.0 hardware box as a form factor for a larger board, but we get the small board's contents at the moment. Here are the teardown instructions and pictures of my own HW2 AP2.0 car's NVIDIA PX2. It appears to be revision 1078321-60-C. Remove the six screws that hold the glove box in place, and remove the three wires connected to the glove box - and wallah - out it comes! Now you can see the AP2.0 computer above where the glove box was (it's the big silver box). Disconnect the wires and remove the four nuts that hold it in place. Out it comes! Thank you for the help. Made it very quick to do. So tesla hardware is even less powerful than they claim it is. Also, what's interesting is that my revision is 60-C. Your revision models you listed were all 70-x numbers. Why is mine 60? So confirmed that it is 1 SoC and 1 discrete GPU connected via MXM. Edit: The process to swap isn't as onerous as I expected. I can see why Tesla said it's relatively easy to upgrade. With the GPU on MXM, they can potentially also do a GPU-only swap to the new Volta. Actually, it is exactly as powerful as they claim. 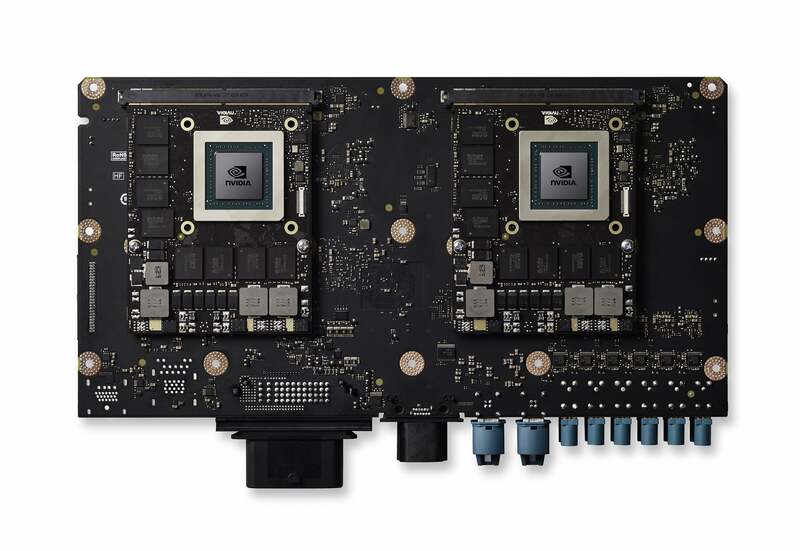 12 trillion OPs, which is half the 24 DL TOPs quoted by Nvidia for a PX2 with 2 SoC and 2 discrete GPUs. This makes sense now actually. Many people have assumed that because the "Autochauffeur" board shows 8 camera connection points on the dual socket board, that this was the board Tesla was shipping in HW2 cars. However, as pointed out in the linked thread above, the "Autocruise" board also supports up to 8 camera (plus radar/lidar) inputs. After tearing down my car today, I can virtually confirm that Tesla is shipping the "Autocruise" version of the board, with 8 camera + radar inputs, with a single CPU and GPU socket. I disagree, Tesla have something in between "Autocruise" and "Autochauffeur". My understanding is that the PX 2 Autocruise contains just a Parker SOC, no discrete GPU via MXM. Yeah @bjornb is probably right, still PX2 is touted to be a "scalable" architecture..
Did they reduce the amount of memory on the discrete GPU as well? Did they reduce the amount of memory on the discrete GPU? It would certainly appear possible. The memory sockets on the GPU daughterboard are are only half used. I wonder what's under that other heatsink? Powerful in the sense that it will deliver level 5 FSD while nvidia say not even close more like highway autonomy. This makes the "all cars have level 5 fsd hardware capability" even more of a sham. Parker SOC? (It would be nice to have this confirmed as well.. @kdday). Does it say GP106 here? Nvidia GP106 = Geforce 1060?? ?